With names likes Saquon Barkley and Odell Beckham Jr. taking up most of the media coverage, sometimes the lesser known and underrated players slip through the cracks. But, it’s important to address those players and understand just how important they are to the success of the team, especially on the New York Giants. Michael Thomas. A name you seldom hear but when you do it’s often a positive thing. The Giants’ safety earned Pro Bowl credentials in 2018 for his stout special teams abilities, but he went unnoticed. The 29-year-old finished last season with 59 combined tackles, two interceptions, and six passes defended. It was arguably his best season to date, and he showed value not only on special teams but as a defender as well. 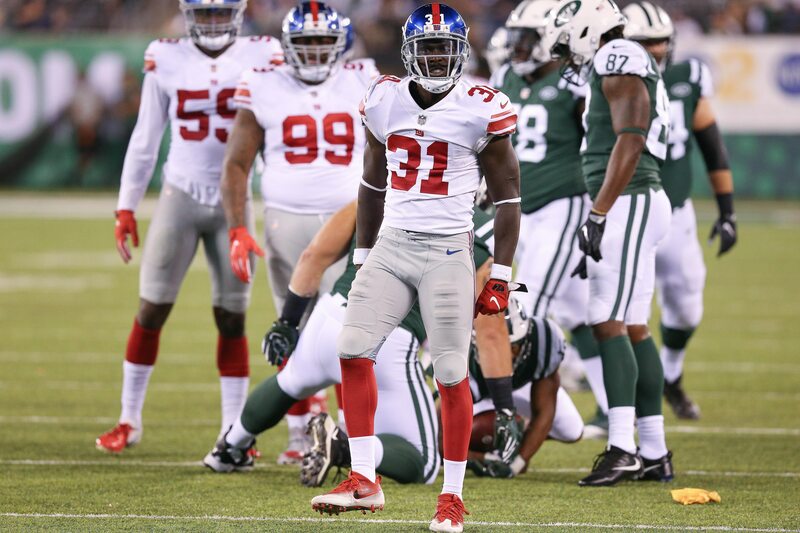 When former Giant Landon Collins went down with a torn labrum, Thomas filled in valiantly. After five successful seasons with the Miami Dolphins, general manager Dave Gettleman made it a priority to bring him to New York to help upgrade the ST unit. His influence went far beyond that, and we saw his value in person in week 1 of the 2018 season. Thomas was a solid pass-rusher from the safety position, which is why he consistently earned more snaps on defense as the season progressed. His speed and shiftiness were effective on third-downs. Defensive coordinator James Bettcher is known for utilizing different players for unique blitzes, creating unpredictability and efficiency. With Collins being allowed to walk in free agency, it opens up an opportunity for Thomas to earn even more defensive reps, as acquired safety Jabrill Peppers will act as a swiss army knife on defense. His speed and versatility allow him to line up as a corner, free safety, and box safety. This will produce more opportunity for Thomas in the box, and he even showed a keen ability in coverage too. The bottom line, the Giants will look to activate their special teams star more frequently, but keeping his talents focused on his trademarked expertise will be the priority moving forward.